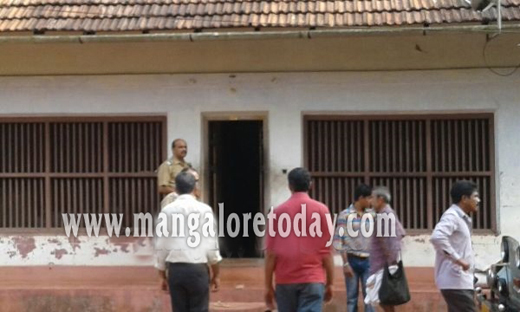 Kasargod, April 18, 2016 : In an incident that sent shockwaves in the town of Badiadka on April 17, Sunday, a 24 year old techie killed himself after stabbing five persons of his family including his parents at Nekraje. The deceased techie is Ashwin Kalluraya of Chatappady in Nekraje. His parents Srihari (57) and Latha (52), sister Suma (33), grandmother Sugunamma (80) and aunt Vanajakshi (50). Neighbours who heard the screams of the family members came to their rescue and admitted them to hospital.The deceased Ashwin was working in Coimbatore and had visited home two days ago. Sources say he was mentally disturbed. Oh god ! he might have been worried over some issue and in rage he might have done so. Bad luck of the family they did not notice hi s problem? Got killed.